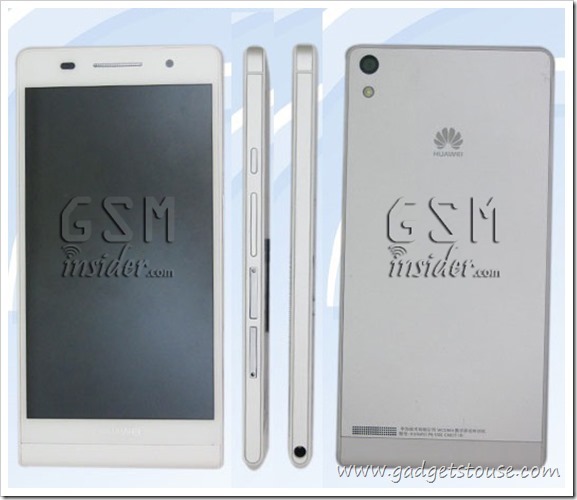 2013 seems to be about thinness – thin bezels and thin smartphones. According to a leak, the P6-U06 might just be the world’s thinnest smartphone at just 6.18mm thick! To compare it to one of the most popular phones at the moment – the iPhone 5 – which is 7.6mm thick. The full dimensions of this device according to our source are 132.6 x 65.5 x 6.18mm, and a weight of just 120g which is fairly light. Apart from the dimensions, the device is touted to carry an 8 megapixel rear camera and a 2 megapixel unit when it comes to cameras. 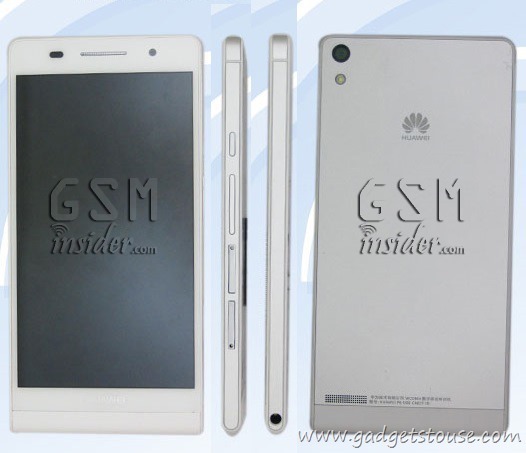 The device is said to come with a 4.7 inch display, with a resolution of 1280x720p. The processor is said to be the Hisilicon K3V2 which is manufactured by Huawei itself, and apart from this the phone will have an array of connectivity options, with no sign of LTE availability. Looking at the pictures, we would assume that the battery would be of non-removable type. While there is no word on pricing and/or availability from Huawei, the device will ship with Android 4.1.2 and will be available in White, Black and Pink. This device might be their next from the Huawei Honor series – currently the Huawei Honor 2 is their latest phone in the series.